People, businesses, government agencies, and entire industries are changing their ways in order to reduce impact on the environment. Sustainability – the use of resources that allows us to meet the needs of the present while providing for the needs of future generations – is the primary goal of warm-mix asphalt. 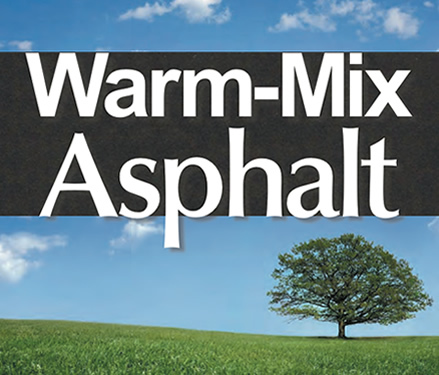 Asphalt has always been a sustainable material, and innovative technologies known as warm mix are making it even more so. Warm-mix technologies employ a variety of methods and materials; what they have in common is the ability to drastically reduce the temperatures at which pavement material is produced and placed on the road. The warm-mix technologies’ temperature reductions – in the neighborhood of 50 to 100 degrees Fahrenheit – have the obvious benefits of saving fuel and cutting emissions. What may be surprising to some is that they also have the potential for benefits in construction that may extend the paving season in cold climates, improve quality, and lengthen the lifespan of the pavement. How do warm-mix technologies work? The processes and equipment used for warm-mix asphalt are, in many ways, the same as traditional hot-mix asphalt: an engineered mixture of aggregates (stone, sand, and gravel) and asphalt cement (a petroleum product, sometimes called bitumen) is produced at an asphalt plant. Usually, the ratio is about 95 percent aggregates to 5 percent asphalt cement. 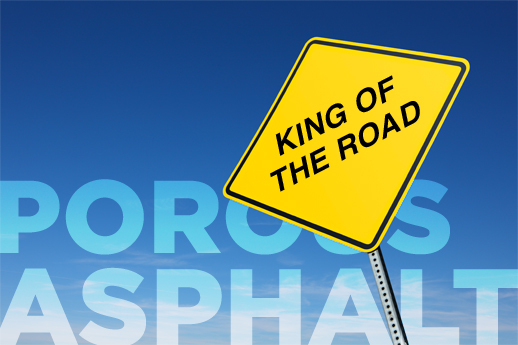 Asphalt cement is the binder, the glue that holds the pavement together. At the plant, the aggregates are heated, driving off moisture. The hot aggregate is then mixed with asphalt cement; the heat facilitates the mixing and coating process. Warm-mix technologies fall into three basic categories; one uses a small quantity of water to create foaming of the asphalt, another uses a chemical additive, and the third uses an organic additive. 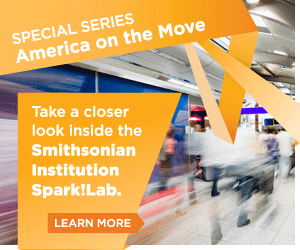 These technologies result in a mix that can be placed on the roadway at reduced temperatures. 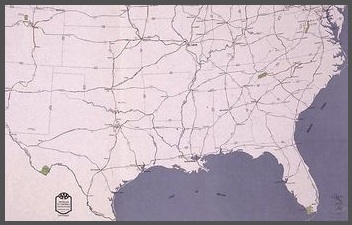 Hot-mix asphalt is usually produced at about 280o to 340oF. Warm-mix technologies allow production temperatures to be reduced to approximately 212o to 275o F.
Reducing the production temperatures at the asphalt plant reduces the amount of fuel that needs to be used to heat the aggregate. Actual fuel savings will vary depending on a number of factors such as the temperature reduction and the aggregate moisture content. It has been estimated that, when warm mix is fully implemented, the U.S. will save about 150 million gallons of No. 2 fuel oil per year. This is about half the amount of gasoline consumed in a single day in the U.S. The warm-mix technologies are compaction aids which improve the workability of the mix. Temperature is also a factor. Cooling of warm mixes is slower than cooling of hot mixes. Warm mix can therefore be used for paving in cooler weather than hot mix, and it can be hauled for longer distances. Also, “stiff mixes” – pavements that use stiffer grades of asphalt cement – become more forgiving and easier to construct. Working with warm mix at the paving site is very similar to working with hot mix. With some mixes, handwork is easier; sometimes, the tendency of a mix to stick to tools and machines is reduced. Workers also report that they enjoy the improved conditions at the paving site. Demonstration projects of warm mix have been extended to a variety of pavement types. Mixes incorporating rubber and polymers have been produced. Also, open-graded pavements – which have interconnected pores that allow rain to sink in and run off to the sides – have been constructed. While each mix has its challenges and requires careful engineering, successful results have been achieved with each type of paving material. To aid in the thoughtful implementation of warm mix, the industry and researchers have developed guidelines for best practices in warm-mix asphalt production and construction.